This entry was posted on August 27, 2018 by Marketing. The following article was originally featured in the quarterly newsletter for CREW. 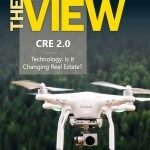 It speaks to the importance of technology in CRE - especially by crowdfunding sites that are allowing more investors to enter the commercial investment space. Don't miss the quote from Patch's CMO, Robert Greenberg. Until a few years ago, investing in commercial real estate was largely limited to big institutions, hedge funds, and high-net-worth individuals. Wealthy investors relied on word of mouth within their elite networks to access quality real estate investments, and participation typically required a minimum investment of $50,000–$100,000. But this “country club” model of real estate investment began to shift in 2012 when Congress passed the JOBS (Jumpstart Our Business Startups) Act, which enabled small retail investors to enter the CRE market. Since then, dozens of so-called crowdfunding companies have emerged offering individual investors an opportunity to pool their resources to invest in commercial properties via online marketplaces. While all these companies operate differently, using different platforms and parameters, they are all powered by innovative new technologies designed to increase efficiency and reduce costs for both investors and borrowers. “Our mission is to connect capital with opportunity so that we can unlock the massive growth potential of the commercial real estate market,” said John Minervini, content manager at San Francisco–based RealtyShares (realtyshares.com), one of the earliest and largest players in the real estate crowdfunding sector, with 120,000 registered users across all 50 states. Real estate crowdfunding sites operate similarly to e-commerce sites, with all transactions done electronically. Investors can go online, sign up, and begin shopping for properties within minutes. The platforms are designed to be easy to use and intuitive, and require little or no specialized knowledge. In addition to providing access to a market once reserved for the rich, crowdfunding sites also promise significantly higher returns— anywhere from 8 to 13 percent per year, depending on the platform and the project—than those provided by real estate investment trusts (REITs) or other traditional investment vehicles. And unlike REITs, where investors buy into a pool of properties, crowdfunding sites allow users to invest in individual projects. Crowdfunding sites also offer advantages to builders and developers. Unlike loans from banks, which operate under stricter regulatory control and typically take months for a decision, a loan from a crowdfunding site can be executed in a matter of weeks—although interest rates are generally higher. “As long as we think our crowd has an appetite for a deal, we will make the loan,” said Patch of Land’s Greenberg. Crowdfunding sites are clearly democratizing real estate investment, but they are not necessarily open to the average Joe and Joanne. Many sites—including Patch of Land and RealtyShares— require investors to be accredited, which means they must have a minimum net worth of $1 million, excluding their primary residence, or have reported income of at least $200,000 each year for the last two years. Patch of Land and RealtyShares post new deals on their sites several times a week. Users can then select the projects they want to invest in based on their personal preference, investment goals, appetite for risk, asset class, location, and other criteria. Patch of Land focuses on the lower end of the market, providing loans ranging from $100,000 to $3 million. A typical borrower might be a developer who purchases a rundown apartment building, hotel, or self-storage facility, rehabs it, and quickly sells it for a profit. “Our deals typical sell out within hours or days,” Greenberg said. RealtyShares focuses on the middle market, funding commercial projects with a value of up to $50 million. Since the company was founded in 2013, $730 million has been invested through its platform in more than 1,100 projects across 39 states. As with all forms of real estate investment, caveat emptor applies to crowdfunding sites. While the promised returns are typically higher, so are the risks. Unlike publicly traded REITs, which eschew high leverage, own vast portfolios of property, and are watchdogged by Wall Street analysts and asset managers, crowdfunding sites operate under less stringent rules. Indeed, one expert on real estate finance characterized crowdfunding sites as “the wild, wild West” of real estate investment. Still, the best-run sites carefully curate deals and vet sponsors. Realty Mogul (realtymogul.com), for example, another Los Angeles–based crowdfunding site, conducts background, criminal, and credit checks on each funding applicant and reviews his or her historical deal flow, liquidity, and success. The site’s head of credit has three decades of experience in real estate finance. Both Patch of Land and RealtyShares say they carefully evaluate every deal they offer investors to minimize their risk and maximize their returns, and both companies underwrite the deals they present to investors. Real estate crowdfunding generally focuses on debt financing, whereby investors receive monthly or quarterly distributions from the interest paid by the borrower. However, a growing number of crowdfunding sites are entering the equity market, whereby investors acquire a stake in a property and earn returns through rental revenue rather than through interest on a loan. Patch of Land takes pride not only in making money for its investors but also in building communities and financing projects that are often overlooked or rejected by banks and other traditional lenders. The company has invested in Detroit, the South Side of Chicago, and other economically distressed areas. This entry was posted in All Projects, News & Press and tagged real estate investing, crowdfunding on August 27, 2018 by Marketing.